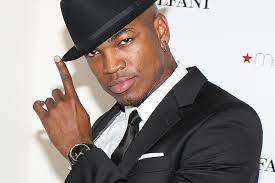 R&B superstar Ne-Yo is an internationally recognized brand. From his dapper style to his well-crafted artistry, just about everyone knows who the man is. With the release of his sixth album, Non-Fiction, Ne-Yo brings a variety of R&B tracks with just enough hits not to abandon his pop and electronic fan-base. The R&B crooner took a few minutes to speak with JET about his humble beginnings, staying power and what fans can expect from him in the future. SJ: You were born in Arkansas to two musically inclined parents. Did you always want to do music? Ne-Yo: I’ve never really wanted to do anything else. I draw and paint a little bit. I’ve actually been doing that as long as I’ve been singing, but music was always the initial passion. It has been pretty much my whole life. SJ: When did you discover that you had the gift of singing/songwriting? Ne-Yo: I’ve always been able to hold a note. I won’t say that I could [always] sing, but I could hold a note. I could mimic what was happening on the radio just well enough. The rest of it I had to work for. I don’t know. I’ve been humming melodies since [I was] like little little. You know [age] four and five. My mom said that the first song I ever wrote was about mustard and I was about five years old. I guess five is when I learned that I had the gift. SJ: Recently, you released you sixth studio album Non-Fiction. What can we expect from this work? Ne-Yo: I normally don’t let the things I hear or read about in blogs bother me too much, but when I started hearing people saying things like “Ne-Yo abandoned R&B,” that really got to me. So I allowed this album to kinda be that. To my core R&B fans, if not for that R&B foundation that was raised, there would be no EDM song, there would be no Ne-Yo dance song, no Ne-Yo pop song. R&B is my home, it’s my foundation, it’s where I come from. So the majority is R&B, but I had to make sure I did something for everyone. It’s called Non-Fiction because every single song on there is based on a 100% true story. Half the stories belonging to me, the other half belonging to my fans. I reached out via social media asking people questions about their lives and relationships and the stories I dug the most I actually turned into songs for this album. Read the rest of my interview with Ne-Yo at JetMag.com. Next To Date Or Not To Date Your Coworker?